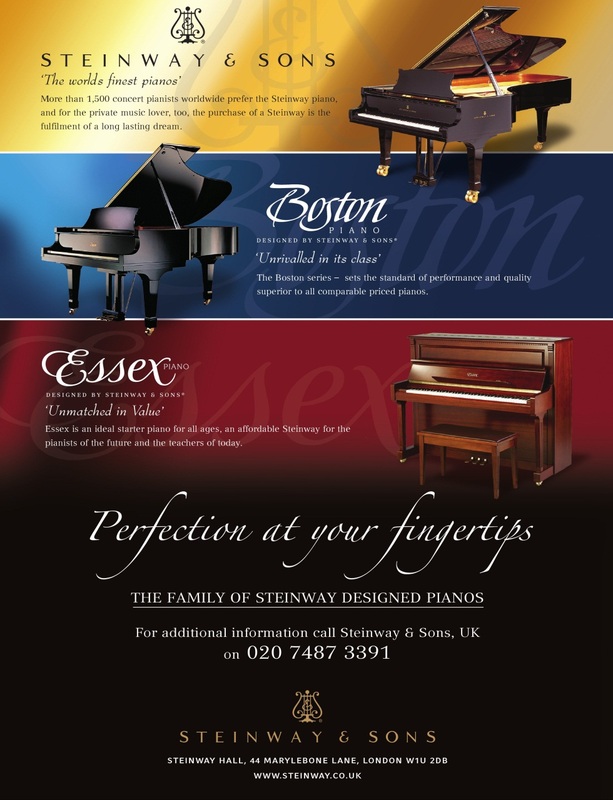 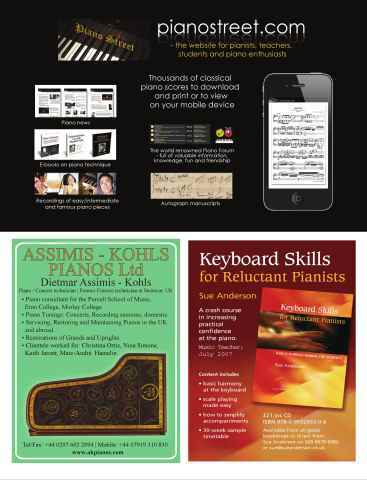 Enjoy 40 pages of specially selected sheet music, for players of all levels. Every score features a sound file. 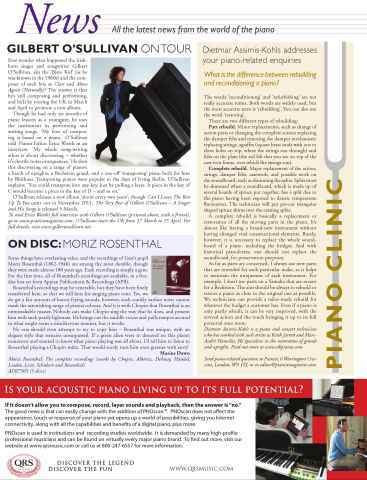 Listen to the scores played by a professional pianist, recorded at the prestigous Royal College of Music, London. 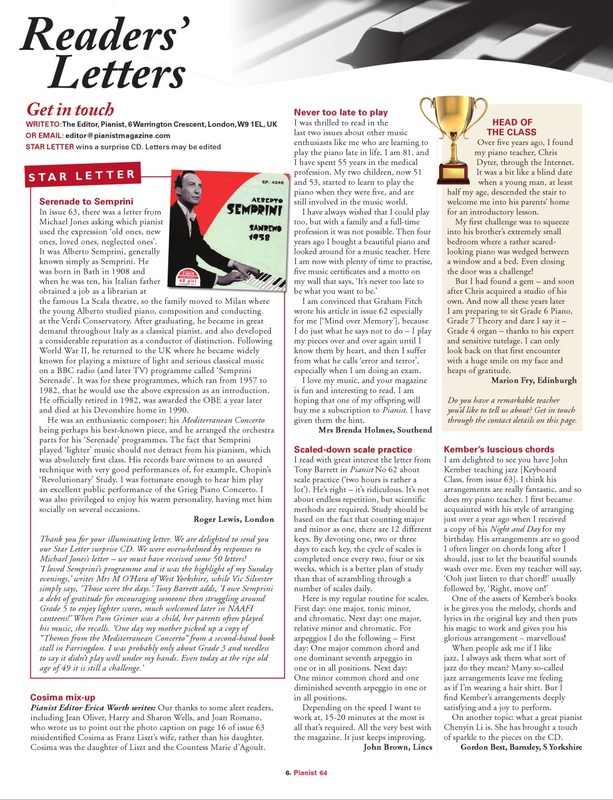 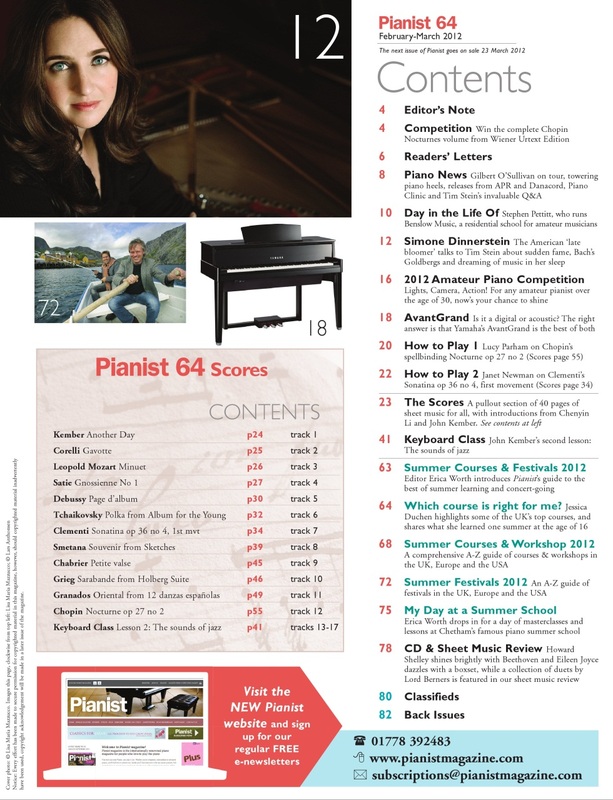 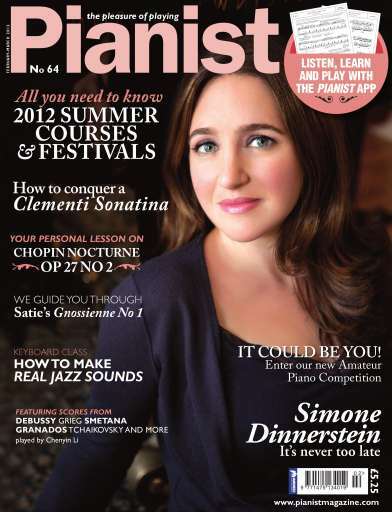 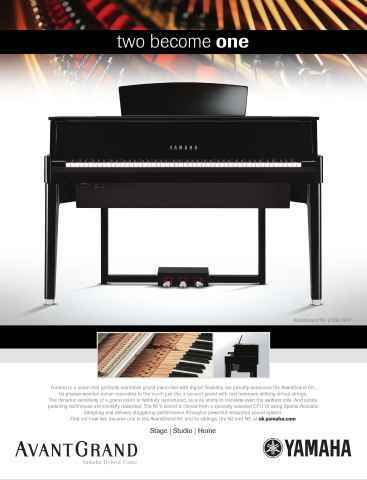 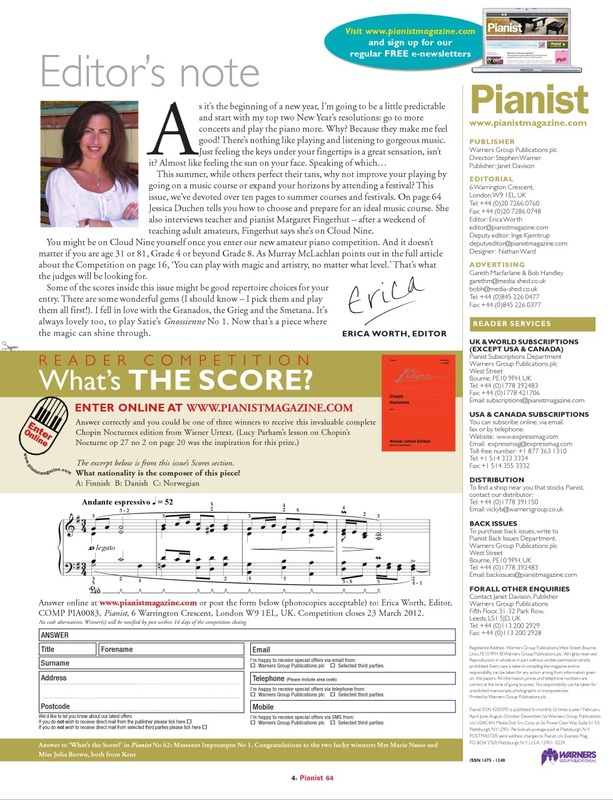 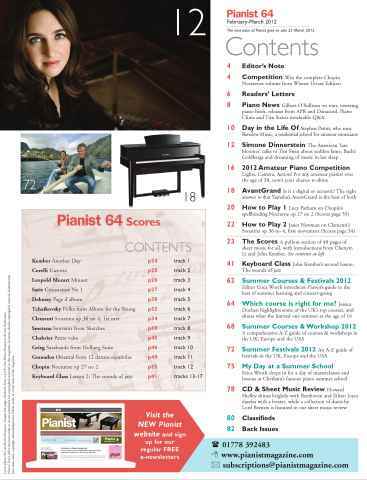 Issue 64 is a bumper issue as we provide you with summer courses and workshops that you can take part in to improve your piano playing skills.